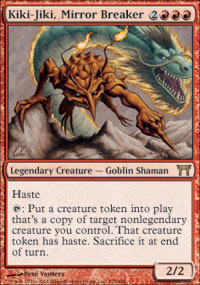 Card Text: Haste T Put a token into play that's a copy of target nonlegendary creature you control. That creature token has haste. Sacrifice it at end of turn.